We went on a road trip with CHI and HLA's Simon Ratigan at the wheel. It's great to be working CHI and HLA's Simon Ratigan as they come together to create the new Lexus RX 450 campaign that shows us how the Lexus has progressed into an entire new class of vehicle. 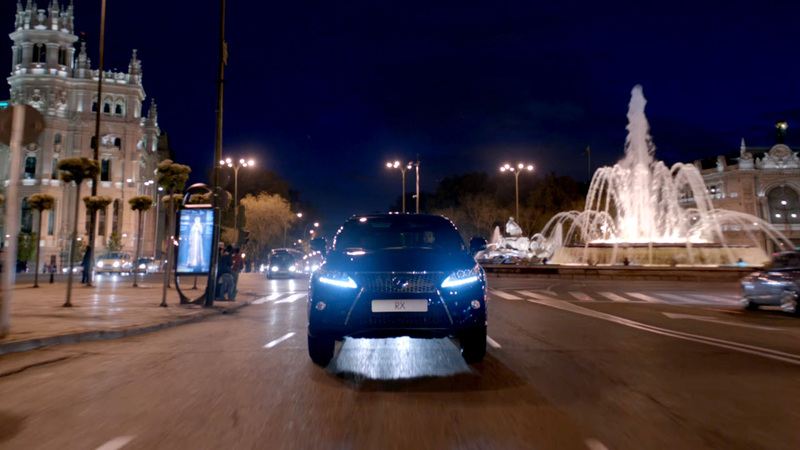 The spot cleverly depicts the singular journey the Lexus RX 450 makes through varied environments, locations and terrains to demonstrate how progress never stops. We worked closely with Simon to create an evolving 'ride' on the road; our 2D Leads, Adam Grint and Gaz Brannan alongside our 3D Leads, Mike Chapman and Suraj Harrington-Odedra used stop frame capture and CG elements to display a vivid array of city backdrops, outdoor terrains, mixed landscapes and changing climates, all in under a minute. The final touches were added by our colourists Seamus O'Kane and Mick Vincent.